In this video you will learn about the basics of VB.Net Framerwork Architecture, I have made this video for DCA and PGDCA student, only covered basics of the topics. 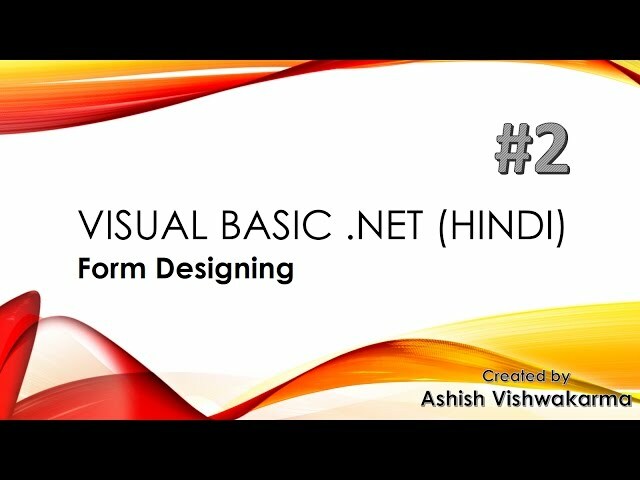 In this we will learn to use IDE (Integrated Development Environment) to create different forms. Creating Hello world program using msgbox. In this video we will learn how to create and define name of controls.